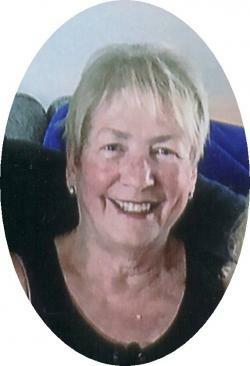 Hall, Florence Anne, "Floie", 72, Truro, passed away Sunday, February 24, 2019 in the Colchester East Hants Health Centre, Truro. Born in Alberton, PEI, she was a daughter of the late Ernest and Winnifred (Rayner) Getson. Florence was a very loving person who spent endless time providing care for her family, her sisters and brothers and friends who were in need. She loved to do crafts and attend craft shows. She was also well known as a second mom to many children who are now parents and grandparents of their own. She is survived by her husband of 48 years James Hall; son Judson (Nicole) of Bible Hill; two very special grandchildren whom she loved and cherished deeply, Sofia and Maddison; sisters Ethel Follington of Red Deer, AB, Marion Blackburn of Halifax, close sister Elsie Blackburn (William) of Kildare, PEI; brother-in-law LeRoy Hiltz of Greenmount, PEI; sisters-in-law, Laura Getson of Alberton, PEI, Elva Getson of Tignish, PEI, Aldona Rayner of Kildare, PEI; several nieces, nephews, grandnieces and grandnephews. Besides her parents, she was predeceased by brothers, Norman, Douglas, Sidney, Percy; sisters, Violet and Edna.